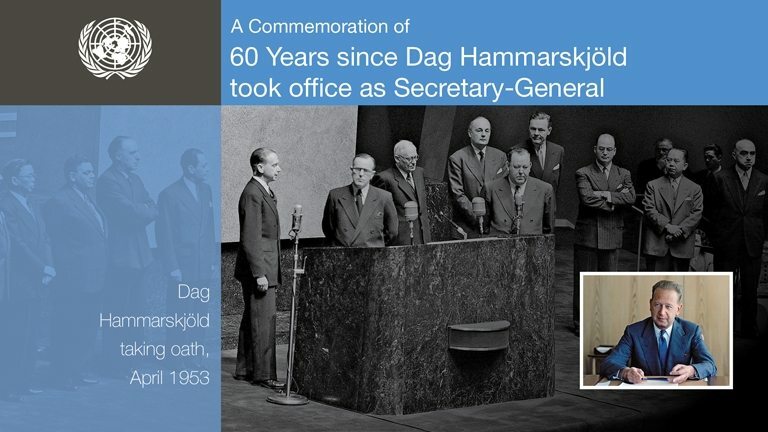 This week the United Nations is marking the 60th anniversary of when Dag Hammarskjöld took the oath office of Secretary-General. You’re invited to watch the event live online. Watch this archive footage of the installation ceremony and his acceptance speech for 1953.